Baltimore Orioles: Where Have You Gone? is a unique look at what a number of former Orioles personalities have gone on to do in life since their playing careers ended. Author Jeff Seidel spoke with a wide-ranging selection of former Baltimore players, from such stars as Cal Ripken Jr. and Brooks Robinson to those who had only their fifteen minutes” of fame, such as Dave Criscione and John Stefero. A common thread seems to be how many of the former Orioles stayed in baseball in some form, like Ripken, who started his own minor league team in Aberdeen, Maryland, something that’s clearly close to his heart; or former catcher Andy Etchebarren, a longtime minor league manager and coach. 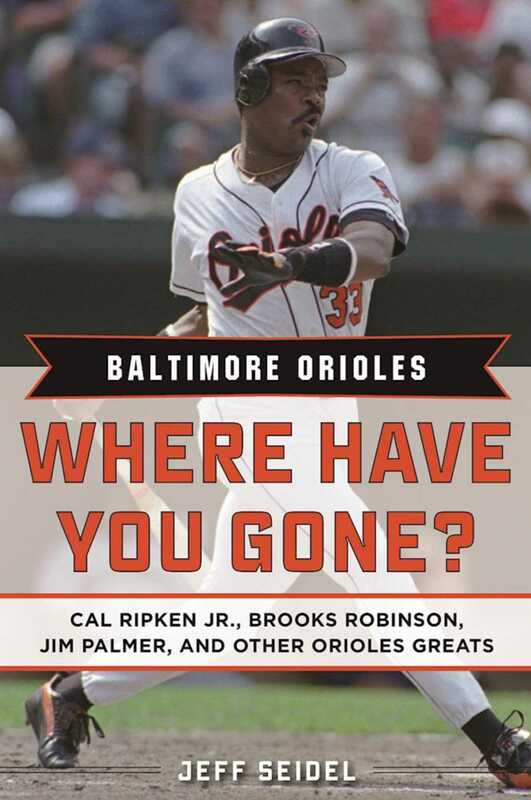 Baltimore Orioles: Where Have You Gone?, first published in 2006 and newly updated through the 2016 season, features men like Mike Flanagan, the Cy Young Awardwinning lefty who anchored the Orioles pitching staff in the late ’70s and early ’80s, finally becoming the team’s pitching coach and cogeneral manager. The book also includes a chapter on Tommy Davis, the team’s first designated hitter, who tells how he came up with a key base hit after nearly missing his at-bat because he was talking on the clubhouse telephone; Doug DeCinces, faced with the cruel task of taking over for Brooks Robinson at third base, talking about the huge pressure he faced and how he truly appreciated playing for the Orioles; and finally the legendary Robinson himself, still a fan favorite more than 35 years after retiring, telling how he told the Chicago White Sox thanks, but no thanks, when they asked him about managing. It’s all here; perfect for any Orioles fan! Jeff Seidel has been a journalist in the Baltimore/Washington area for over 20 years, covering high school, college, and professional sports. He has written for the Baltimore Sun, Washington Post, the Associated Press, NFL.com, Lacrosse Magazine, ESPN: The Magazine, Rink Side, Washington Jewish Week, and many other publications. He is the author of Baltimore Orioles: Where Have You Gone?